Createspace Independent Publishing Platform, 9781466357723, 204pp. Sculptor Amy Freeman wakes one ordinary morning to find her 14-year-old son Zach gone, the only evidence of him a stray flake floating in the milky water of his cereal bowl. Seven years later, in the same California town, a middle-school science teacher (referred to by everyone except his girlfriend Roxana as "Mr. Candine") suddenly finds God. His revelation sets him on a collision course with a troubled student looking to exorcise his own demons--and lands Mr. Candine in the middle of a lawsuit. 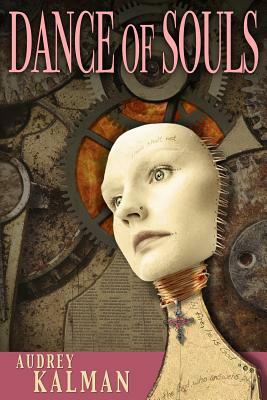 Bracketed by two cataclysmic events, Dance of Souls weaves together the stories of Amy, Zach, Mr. Candine, and Roxana with those of a school principal, a troubled student, and a documentary filmmaker. Amy's blossoming career leads her to New York; Zach searches for the woman who enticed him to run away from home at 14; Mr. Candine wrestles with God and the law; and Roxana wrestles with Mr. Candine. Careening between the serious and the lighthearted, the divine and the secular, the novel looks at the longing we all share to find meaning in our lives, the countless ways we search for it, and what happens in the aftermath of those personal cataclysms that either change us forever or barely disturb the surface of our oblivion. Audrey Kalman has been writing fiction, poetry, and non-fiction for more than 35 years. She currently serves as editor of the fourth edition of "Fault Zone," the annual anthology published by the SF-Peninsula branch of the California Writers Club. Her short fiction and poetry have appeared in two previous "Fault Zone" anthologies as well as in "The Sand Hill Review," "Punchnels," and "Every Day Fiction." Kalman is a two-time first-place winner in the San Mateo County Fair's Literary Arts competition. Her blog about writing appears at http: //audreykalman.wordpress.com. She is at work on another novel.